The U.S. Department of Labor (DOL) announced on March 14th, that they had released new opinion letters on their website. These letters address the compliance issues related to the Family and Medical Leave Act (FMLA) and the Fair Labor Standards Act (FLSA). Before we review the new opinion letters for the FLSA, let’s do a quick review of what exactly is an opinion letter. The Wage and Hour Division issues guidance primarily through Opinion Letters, Ruling Letters, Administrator Interpretations, and Field Assistance Bulletins. They are provided on the DOL website. An interpretation or ruling issued by the Administrator interpreting the Fair Labor Standards Act (FLSA), the Davis-Bacon Act (DBA), or the Walsh-Healey Public Contracts Act (PCA) is an official ruling or interpretation of the Wage and Hour Division for purposes of the Portal-to-Portal Act. 29 U.S.C. § 259. Such rulings provide a potential good faith reliance defense for actions that may otherwise constitute violations of the FLSA, DBA, or PCA. Prior rulings and interpretations are affected by changes to the applicable statute or regulation so an employer should always periodically review any relevant opinion letters that it uses as a basis for a policy to ensure that changes have not occurred. From time to time the DOL updates its interpretations in response to new information, such as court decisions, and may withdraw a ruling or interpretation in whole or in part. Now on to the new letters just recently issued. FLSA2019-1: This opinion letter clarifies the FLSA wage and recordkeeping requirements for residential janitors and the “good faith” defense. Discusses what to do if the FLSA and state requirements do not match. In this case the state of New York did not consider the employee subject to minimum wage and overtime but the FLSA does. FLSA2019-2: Addresses the FLSA compliance related to the compensability of time spent participating in an employer-sponsored community service program. I always encourage employers to use the opinion letters when formulating policy. If you don’t see an opinion letter that addresses your issue, you may ask for one to be issued on that policy or question by submitting the request online. Of course, not all requests submitted result in an opinion letter being issued. Or it may be issued but as a non-administrative letter which holds less weight. But it doesn’t hurt to ask! Reminder: Keep up with the payroll news by subscribing to Vicki’s e-news alerts, Payroll 24/7. The latest payroll news when you need it, right to your inbox. Salary Levels Are Rising (Or Are They?) …It’s Still Anyone’s Guess …But We ARE Getting Closer! On March 7, 2019, the U.S. Department of Labor (DOL) issued a news update concerning the new salary levels for employees to qualify for the Executive, Administrative, and Professional exemptions under the Fair Labor Standards Act (FLSA). The news update acknowledges that the currently salary level of $455 per week, in effect since 2004, needs to be increased but not to the level that was required by the Obama Administration in 2016 ($913 per week). The Department is proposing to adopt a salary level that uses a clear and predictable methodology for employees and that will also comply with the FLSA and the recent court decisions concerning the Obama Administrations regulations that were invalidated by the United States District Court for the Eastern District of Texas. The rule was submitted on Appeal to the United States Court of Appeals for the Fifth Circuit but was being held in suspension. This rulemaking proposes to rescind the 2016 rule formally and replace it with this current rule. The same methodology is being used as in the 2016 rule. The level is set at approximately the 20th percentile of earnings for full-time salaried workers in the lowest region (South). Applying the 2017 data and projecting forward to January 2020 (when the rule should be effective) this results in a proposed standard salary level of $679 per week or $35,308 per year. However, the Department anticipates using the 2018 data in developing the final rule. One holdover from the 2016 Obama Administration rule is the ability to count nondiscretionary bonuses and incentive payments (including commissions) to satisfy up to 10 percent of the standard salary level test. These bonuses must be paid annually or more frequently. The new rule will incorporate these types of bonuses. The DOL is not proposing any changes to the standards duties tests at this time. 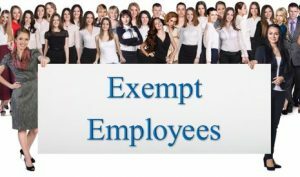 For employees who are exempt under the Highly Compensated Employee test, this level will be increasing as well. The 2016 rule increased that $100,000 threshold to $134,004. This new rule, using the same methodology of the 90th percentile for full-time salaried employees nationally as the 2016 ruling is projecting that the final level will be $147,414 for 2020. The automatic updates contained in the 2016 rule will not be adopted. Instead the DOL proposes to update the earnings thresholds every four years to prevent the levels from, once again, becoming outdated. The DOL is now conducting a 60-day comment period on the new rule. Click here to read the new proposed rule. The address to comment is on page 2 of the report. I invite your comments… what do you think of the new level? the new requirements. One of blogs that I follow, Wage & Hour Insights has an excellent post on this very issue. 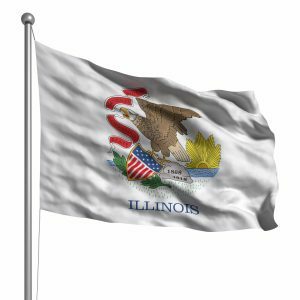 I urge you to take a moment to read Bill Pokorny’s blog on the new Illinois minimum wage violations penalties, Stiff New Employer Penalties Included in Illinois $15 Minimum Wage Law. It is an excellent source on the new requirements. Average vs. Weighted Average When It Comes to Calculating Overtime Rates–Another Use for Algebra! Calculating overtime is always tricky. What rate is the “regular rate of pay” as required by the Fair Labor Standards Act (FLSA) is a question that must be answered each time for each calculation. What can make this even more difficult is when the employee works at more than one rate in the workweek. 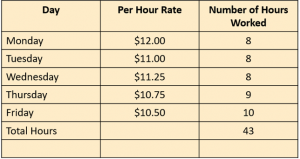 What rate do you use for the “regular rate of pay” if the employee has two or more hourly rates during the workweek? Can you simply average the different rates or is something more required? The Department of Labor recently addressed this situation in Opinion Letter FLSA 2018-28, dated December 21, 2018. Facts of the letter: The employer in question wanted to determine if their compensation plan, which pays an average hourly rate that may vary from workweek to workweek, complies with the FLSA. It was concerned in both the area of minimum wage and calculating the overtime rate. The employer pays a different rate for when an employee is working with a client as opposed to when the employee is traveling between clients. It makes sure that the typical standard rate of pay is $10.00 per hour and if the employee works over 40 hours in any given workweek, they are paid overtime based on the $10.00 rate. …If the employer always assumes a regular rate of pay of $10 per hour when calculating overtime due, then the employer will not pay all overtime due to employees whose actual regular rate of pay exceeds $10 per hour. 29 C.F.R. § 778.107. Neither an employer nor an employee may arbitrarily choose the regular rate of pay; it is an “actual fact” based on “mathematical computation.” Walling v. Youngerman-Reynolds Hardwood Co., Inc., 325 U.S. 419, 424–25 (1945); 29 C.F.R. § 778.108. That said, the compensation plan does comply with the FLSA’s overtime requirements for all employees whose actual regular rates of pay are less than $10 per hour, as an employer may choose to pay an overtime premium in excess of the statutorily required amount. …Where an employee in a single workweek works at two or more different types of work for which different straight-time rates have been established, the regular rate for that week is the weighted average of such rates. That is, the earnings from all such rates are added together and this total is then divided by the total number of hours worked at all jobs. In addition, section 7(g)(2) of the FLSA allows, under specified conditions, the computation of overtime pay based on one and one-half times the hourly rate in effect when the overtime work is performed. The requirements for computing overtime pay pursuant to section 7(g)(2) are prescribed in 29 CFR 778.415 through 778.421. 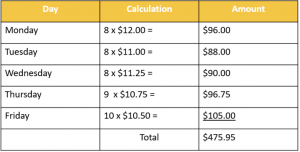 Step 4: Determine the total weekly compensation by adding the total earnings (step 1) and the premium pay (step 3): $475.75 + $16.59 = $492.34. $492.34 is the total weekly compensation. In closing, it must be remembered that it is the employer’s responsibility to ensure that the regular rate of pay used for overtime calculations is the correct one. Coverage: Does the Fair Labor Standards Act (FLSA) apply to my business? 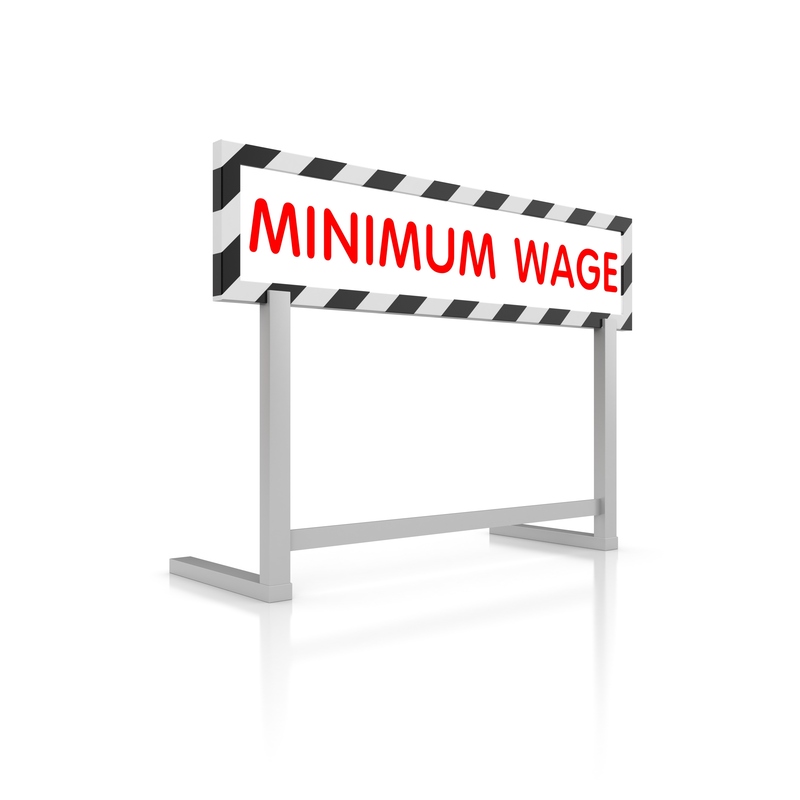 Minimum Wage: What minimum wage requirements apply to my business? 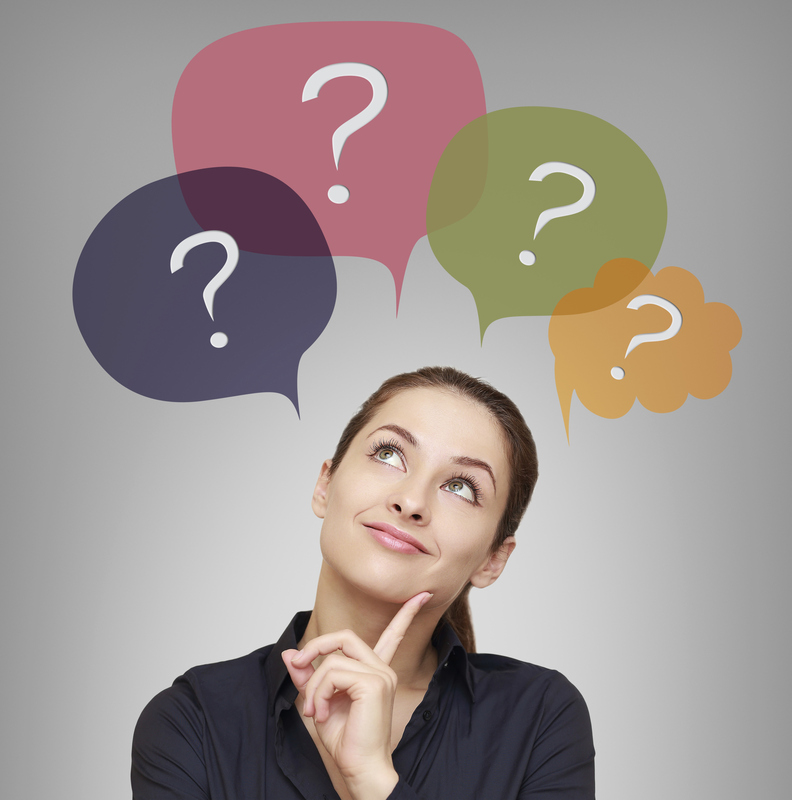 Deductions: Can I charge my employees for uniforms or other business expenses? Hours Worked: Do I have to Pay for that time? Overtime: When do I owe overtime compensation and how do I pay it correctly? The videos are very well done and cover the rules quite nicely. For example the overtime video does go into all the calculations needed for regular rate of pay. They last an average of seven or eight minutes each. If you are looking for a good basic training on these topics listed check out the videos from WHD. ALEC Wins Another State Over! The American Legislative Exchange Council, or as it is commonly known ALEC, according to their website, is “America’s largest nonpartisan, voluntary membership organization of state legislatures dedicated to the principles of limited government”. It’s current legislative agenda is to try to stop increases in the minimum wage and the mandatory sick leave movement as it sees it as having a negative effect on workers. But in order to keep the minimum wage low or as ALEC describes it; “Maximizing the freedom of businesses and employees to negotiate their own wages” they not only have to convince state legislatures not to raise the minimum wage or provide mandated sick leave, but have to convince all local governments as well. This is a tough job as there are thousands of local entities such as cities and counties that could decide to raise the minimum wage or enforce mandatory sick leave. So ALEC takes the approach to tackle this from the head down by convincing state legislatures that they need to pass laws that prohibit any local entity from passing any type of minimum wage or benefit increase that does not equal the state level. At this task they are making headway. The latest state to buy into ALEC and bar local governments from passing a minimum wage or benefits ordinance is Wisconsin. New legislation, A748, prohibits counties, cities, and towns from enacting ordinances that: (1) establish or mandate local hour and overtime requirements, including scheduling employee work hours or shifts; and (2) require employers to provide employment benefits, including a retirement, pension, profit sharing, insurance, or leave benefit. The legislation does allow prospective employers to solicit salary information from previous employers and preempts counties, cities, and towns from prohibiting such solicitation. The bill is effective as of March 30, 2018. As som e of you may have seen on Facebook, a new video with Jane Fonda has been making the rounds. 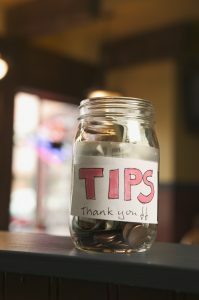 It concerns the latest Department of Labor proposed rules concerning employer treatment of tips. Leaving the politics of Jane Fonda aside this is an important issue that needs to be understood. A great source to understand this issue is the latest post from Wage & Hour Insights written by Bill Pokomy on December 8th. I highly recommend you review his analysis of the proposed rule. In the 10 most populous states in the country, each year 2.4 million workers covered by state or federal minimum wage laws report being paid less than the applicable minimum wage in their state—approximately 17 percent of the eligible low-wage workforce. The total underpayment of wages to these workers amounts to over $8 billion annually. If the findings for these states are representative for the rest of the country, they suggest that the total wages stolen from workers due to minimum wage violations exceeds $15 billion each year. Workers suffering minimum wage violations are underpaid an average of $64 per week, nearly one-quarter of their weekly earnings. This means that a victim who works year-round is losing, on average, $3,300 per year and receiving only $10,500 in annual wages. Young workers, women, people of color, and immigrant workers are more likely than other workers to report being paid less than the minimum wage, but this is primarily because they are also more likely than other workers to be in low-wage jobs. In general, low-wage workers experience minimum wage violations at high rates across demographic categories. In fact, the majority of workers with reported wages below the minimum wage are over 25 and are native-born U.S. citizens, nearly half are white, more than a quarter have children, and just over half work full time. In the 10 most populous states, workers are most likely to be paid less than the minimum wage in Florida (7.3 percent), Ohio (5.5 percent), and New York (5.0 percent). However, the severity of underpayment is the worst in Pennsylvania and Texas, where the average victim of a minimum wage violation is cheated out of over 30 percent of earned pay. The poverty rate among workers paid less than the minimum wage in these 10 states is over 21 percent—three times the poverty rate for minimum-wage-eligible workers overall. Assuming no change in work hours, if these workers were paid the full wages to which they are entitled, less than 15 percent would be in poverty. The report gives a full explanation of the background and previous research into the problems. Is Private Sector Comp Time Finally Here? And Is It a Good Idea in the First Place? This week the House of Representatives passed The Working Families Flexibility Act of 2017, H. R. 1180. The purpose of this bill is to amend The Fair Labor Standards Act of 1938 to allow employees to receive compensatory time off instead of payment for overtime worked for employees working in the private sector. It sponsors say that this gives employees in the private sector the same flexibility that employees in the public sector have enjoyed for a number of years. In essence, being able to choose between being paid for overtime or getting time off at a later date. I have not yet made a decision on this bill as to whether or not I support it. It has good points but it also has a lot of flaws. the bill does require that the employee agree to, in writing, receive comp time instead of being paid for the overtime worked. If the employee would prefer to be paid over time then they have to be paid overtime, at least in theory. The bill also requires that the employee be given opportunity to take the comp time when requested, as long as it does not interfere with business operations. The bill does require that the employee be cashed out upon termination, voluntary or involuntary, or at the end of a 12 month period. This in theory prevents overtime from never being paid. The bill permits an employee to opt out after agreeing in writing to be paid compensatory time and does not permit compensatory time to be as a condition of employment. The bill does not allow new employees to be forced to take compensatory time instead of overtime. The employee must work at least 1000 hours for the employer before they can agree to be pay compensatory time. The bill sunsets after five years and requires after two years that the GAO submit a report outlining whether or not there were complaints alleging violation of the rules made to the Secretary of Labor or the Department of Labor. It requires an accounting of any unpaid wages, damages, penalties, injunctive relief, or any other remedies that were obtained or sought by the Secretary Of Labor. first the premise that public sector employees “enjoy” the privilege of compensatory time in lieu of overtime. Public sector employees did not come under the FLSA until 1985 when it was mandated by a court decision. Private-sector employees have been under the FLSA since 1938. The only reason the comp time in lieu of overtime was permitted is because it was written into many cities, counties and states requirements because they were spending public money. It was never something that was negotiated or requested by the employees themselves. Many stud ies in the United States show that employees tend not to take all of the vacation they are due because they can’t get the time off from their employers. So my question is if they can’t get time off to take vacation that has been given them how will they be able to take off using compensatory time? Especially when the bill does not state that they must be given the comp time when requested but only if it does not interfere with business operations. And how many of us have not been able to take our vacation because our boss says I can’t give you the time off right now. If not able to take the time off due to business operations then what’s the purpose of having comp time except to delay paying the employee overtime that was rightfully do. I understand that taking time off does affect business operations and if I’m requesting vacation I can understand that my boss can say not at this time. Because in essence vacation is not something that I actually worked for, but a benefit my boss is offering me. But compensatory time off is not the same as vacation although this bill seems to treat it that way. This is money that I’ve already worked for and am already due. It is not a benefit that my boss gets to allow me to take at his or her convenience. My biggest problem with this bill is the fact that even though it says that the GAO will present a study on whether or not there were violations the fact is that the Labor Department collects hundreds of millions of dollars each year for violation of simple minimum wage and overtime rules. These rules have been in effect since 1938 and yet employers still violate them on a regular basis. Is this just adding one more area that employees will have to sue their employers through the DOL to get their money? Especially lower paid or minimum wage employees. Is this one more thing the employee will have to be aware of and make sure they are being paid properly? Compensatory time off bills have passed the house many times in the past but have never gone past the Senate, usually dying in committee. But these are not normal times so we will have to wait and see. What do you think? Take our poll. Are you for or against The Working Families Flexibility Act of 2017? Localities such as cit ies or counties have been enacting their own wage and hour requirements for quite a few years now. Dozens of cities in California and New Jersey have their own sick leave laws as well as higher than state minimum wages. New Mexico has local minimum wages as does Washington. But it seems the state legislators are starting to fight back. With the assistance of groups such as the American Legislative Exchange Council (ALEC) model bills (draft legislation that legislators may customize and introduce) have passed in several states. The latest states to pass such legislation are Arkansas and Iowa. These bill basically forbid the local governments from passing any type of law relating to minimum wage, living minimum rates, employment leave or benefits, hiring practices or any condition of employment that is more generous than the federal or state law. Whether cities will fight back in the courts, or if they even can, remains to be seen. Miami Beach recently tried to establish its own minimum wage despite Florida having passed its own version of the ALEC legislation. The court struck down the Miami Beach ordinance. So the fight continues. Payroll professionals need to monitor local minimum wage and sick leave ordinances to ensure compliance but remember these ordinances can be fleeting if the state has passed the ALEC-style legislation. Get all the latest on local minimum wage laws by subscribing to Payroll 24/7 new alert service. News you need as payroll professionals when you need it.